I-View Now is utilized by the security industry’s leading security providers for video and signaling solutions. 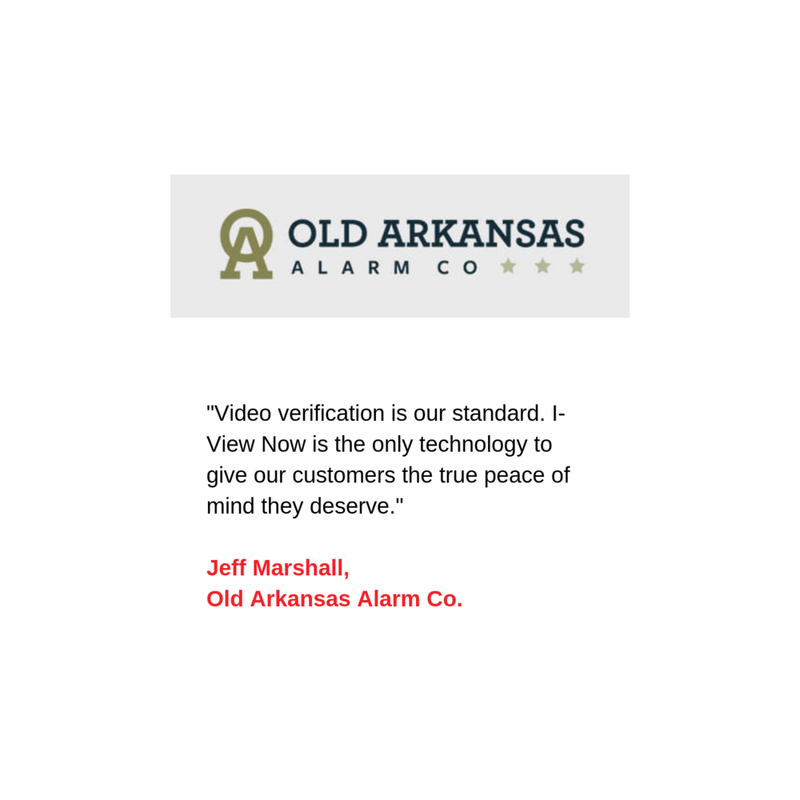 For over seven (7) years I-View Now has been leading the way in innovation and delivery of low cost and dependable alarm verification and video guard tour services. I-View Now integrates security system signals, video sources, cloud applications, and internet-connected devices (IoT) into our cloud platform with the objective of giving end users, operators, and authorized emergency responders better information to prioritize their resources. I-View Now is integrated to the industries leading wholesale and retail monitoring centers. We connect security signals, end user interactions, monitoring centers, and first responders. Our integrations allow thousands of security providers across the country to send traditional security signals,non-traditional signals and video to be processed by professional monitoring centers. I-View Now changes the way end users see alarms. Putting the power of video into the monitoring process helps end users make better decisions. Additionally our patent pending alarm portal allows end users to connect, collaborate, and confirm alarm events with each other and the monitoring center. I-View Now’s patented process allows emergency responders to receive important contextual alarm information and to view video without the need for software or an app. This process gives emergency responders the critical information they need to prioritize their resources. “We are looking forward to completing the integration with Avigilon Blue and providing dealers with a true plug and play install which will include our monitoring station video services,” said Larry Folsom, President at I-View Now. Larry Folsom, president of I-View Now honored with the 2018 Jay Hauhn Excellence in Partnerships Award, recognizing a leader who embodies a spirit of collaboration in the security industry. The integration allows for the end user to cancel an alarm, request dispatch and call the monitoring center through their mobile device. Eliminating unnecessary law enforcement dispatches, providing enhanced real-time information to monitoring centers and responders, and reducing false alarms are reason enough for dealers to deliver video verification; the chance to reap more RMR is a nice bonus. With the help of video verification from I-View Now, Security Central, Inc. in Colorado was able to notify police to let them know they could see someone trespassing at their client's equipment yard. Visit I-View Now at ISC West 2018, booth #34065, to learn about our latest integrations and the exciting enhancements we're making to our dealer program. I-View Now has integrated intrusion control panels, IP cameras and digital recording solutions from Bosch Security Systems for video alarm verification.